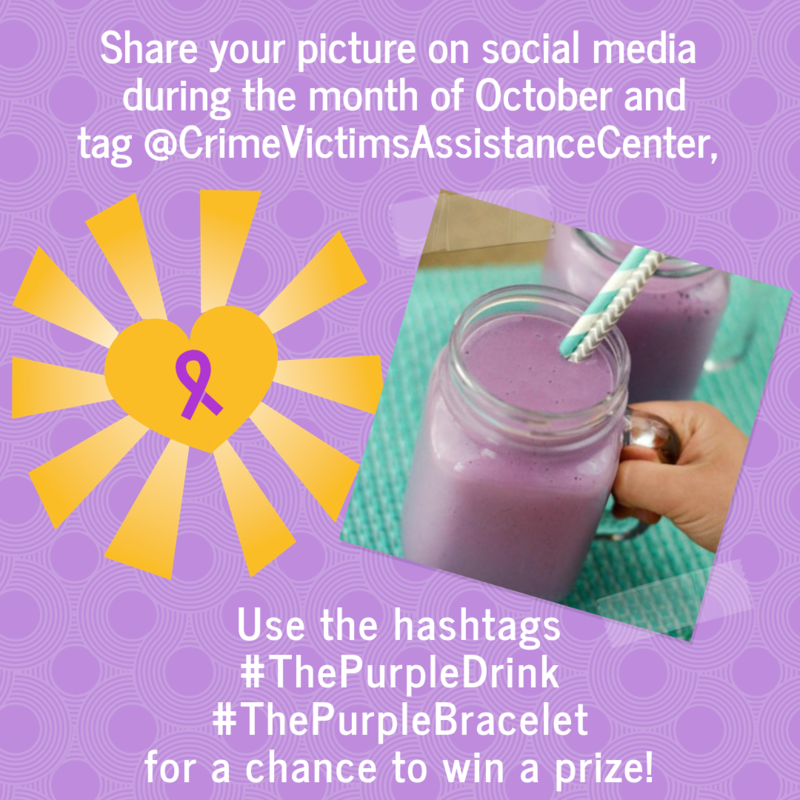 Paint the Town Purple 2018 - Crime Victims Assistance Center, Inc.
Find a purple drink at the following establishments all month long! Rock purple all month long to raise awareness and support for survivors of domestic violence! Use it to start a conversation with friends and family about why you are wearing purple and why this issue matters to you! Don't have any purple flair? Stop by one of these local establishments who have offered to sell purple bracelets as a fundraiser for us! Each dollar will go to helping our agency continue to prevent and respond to victims of crime. ​Special thanks to these wonderful establishments that have committed to supporting us all month long! Additional thanks to the following establishments for donating raffle prizes! Check out these amazing local artists that donated pieces to our cause!